The man who calls himself DAVID LOOGAN is hoping to escape a violent past by leading a quiet, anonymous life in Ann Arbor, Michigan. But his solitude is broken when he finds himself drawn into a friendship with Tom Kristoll, publisher of the mystery magazine Gray Streets -- and into an affair with Laura, Tom's sleek blond wife. When Tom offers him a job as an editor, Loogan sees no harm in accepting. What he doesn't realize is that the stories in Gray Streets tend to follow a simple formula: Plans go wrong. 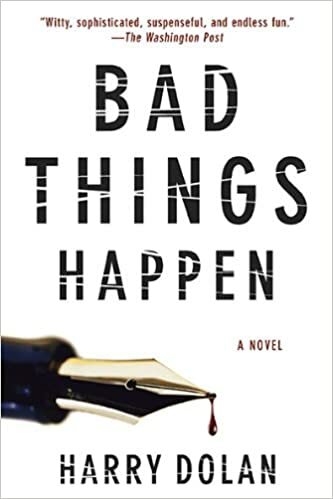 Bad things happen. People die. ELIZABETH WAISHKEY is the most talented detective in the Ann Arbor Police Department. But when Tom Kristoll turns up dead, she doesn't know quite what to make of David Loogan. Is he a killer, or an ally who might help her find the truth? As more deaths start mounting up -- some of them echoing stories published in the magazine -- it's up to Elizabeth to solve both the murders and the mystery of Loogan himself.